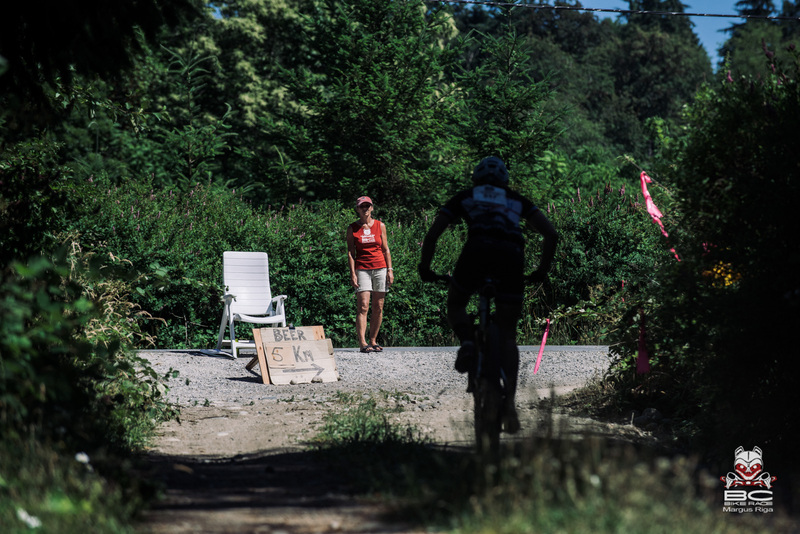 Day 3 of the BC Bike Race began from the Saltery Bay ferry terminal in Earl's Cove. 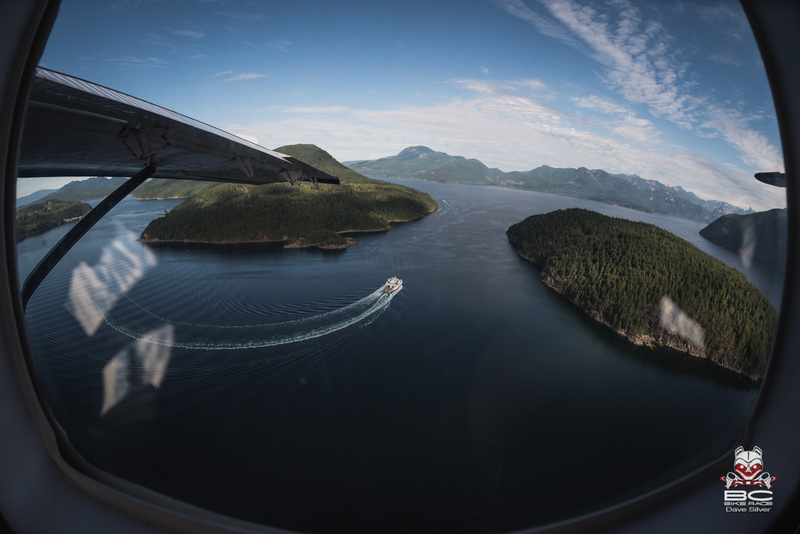 Whether arriving by ferry, water taxi, or floatplane, racers shared the unique challenge of being ready to shred the day's 59km straight from the dock. They also shared a start, rather than the waves used to separate the field on other days. The day's early climbs separated the field just fine without the waves. It would be easy to underestimate Day 3 judging by its road/double-tracked prelude but the race's longest course had plenty of hoot-worthy flow to help you forget those punishing first sections. The day's distinguishing features were dust (it coated your teeth from the instant your tires first hit the dirt), heat, and climbing. The final singletrack climb left racers cross-eyed, but with mouths watering for the day's feature trail: VFR to Adnonac. 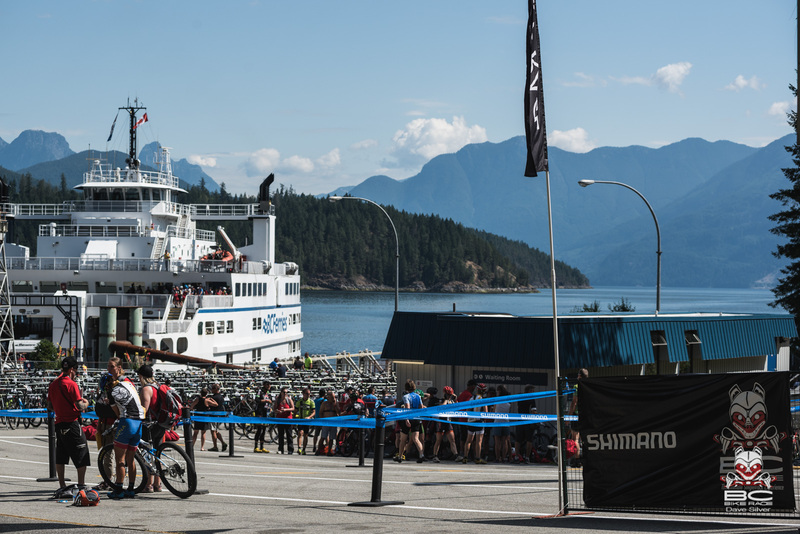 The last nine kilometers of the stage had racers plummeting through some of the most fun descending of the week so far, all the way into the night's base camp in Sechelt. 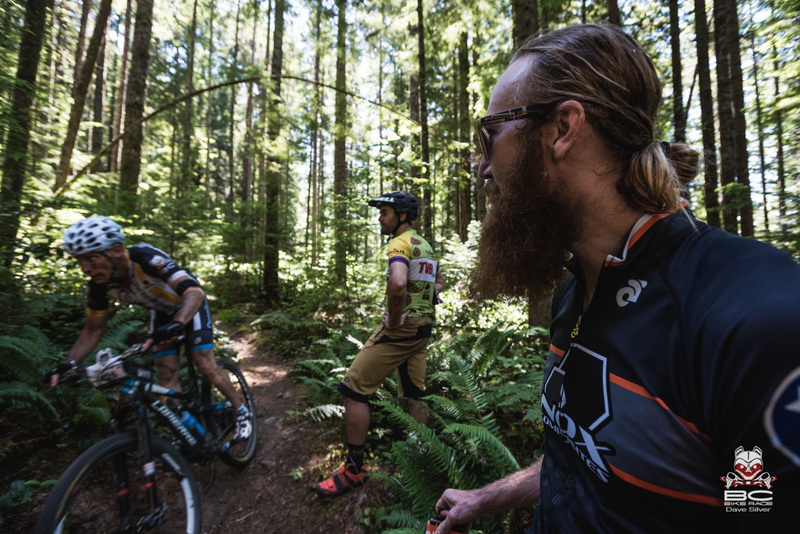 Racers were dusty, hot, sore, and hungry for the next day's "A to B" stage, Sechelt to Langdale. The race is tough for participants but they aren't the only ones out riding each stage. Let's meet Kelli Sherbinin. The entire time we chatted with Kelli, she was smiling. 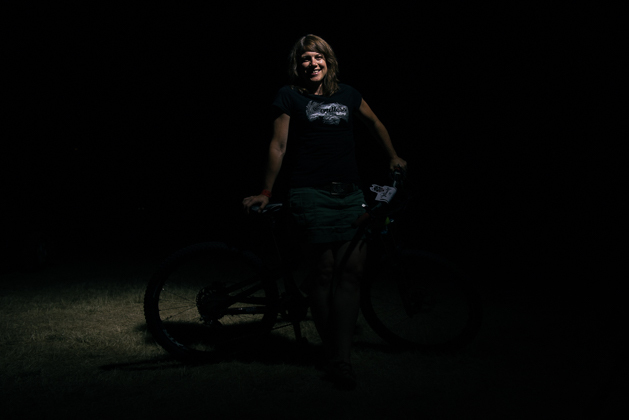 Helping to unlock riders' potential for shredding the gnarly North Shore as a skills instructor and guide (not to mention co-owner) with Endless Biking has kept her busy in the lead up to the BC Bike Race, and now that it's here, you'll find her on course as one of the hand-selected Bike Patrol crew. "Bike patrol was Dean's [Payne, BC Bike Race co-founder] vision; he created this team from hand-picked people who he thought would make a difference on course," said Sherbinin. "It's not a position you can apply for. It's a very specialized team and they are all super professional athletes, or they are teachers. And I feel very awesome to be a part of that." It's no wonder Dean selected her. Riding since the early 90s, she moved to North Vancouver from Nelson in 1998 and was downhill racing soon after that. From there, she got into 4X, BMX and dual slalom and then began Endless Biking in 2004 with her husband, business partner, and fellow patroller Darren. She is one of the PMBI's directors, and even began a women's race team. In one way or another, Sherbinin has been a member of the BCBR family since it began, even winning the event once. Picking up Sherbinin's pack, you might say that these days, her week is even harder than a racer's. Loaded down with radio, mechanical and medical supplies, as well as extra food and water, the pack would be hard to carry for an hour, let alone a week. But the red-helmeted bike patrol shoulder it with a grin, offering encouraging words, helpful information about the trail ahead, and keeping an eye on trail markers, trail etiquette and anything else that needs doing while the event is in progress. The crew of 10 also includes moto riders who act as lead and sweep, as well as gophers to carry supplies amongst the pack and the rest of the patrollers. "Our job is to make sure they have a good experience on the course," said Sherbinin. To help with that goal, Sherbinin offers specialized BC Bike Race training programs over a number of weeks, clinics to polish North Shore skills, and also guided pre-rides of BC Bike Race courses. They also offer rental bikes for clients to use during the race, or for one of their clinics. "We help people understand the techniques for riding the terrain which can be a bit more rough than other parts of the world," explains Sherbinin. "Some people are like 'wow, this is amazing' and some people are like 'whoa, what am I getting myself into,' so we try to help them through some basic techniques. How do you climb a mountain? One step at a time. We try to encourage them to think about it more as an experience than a race. Then they get riding and they see these mossy green trails, and views, and they get it." 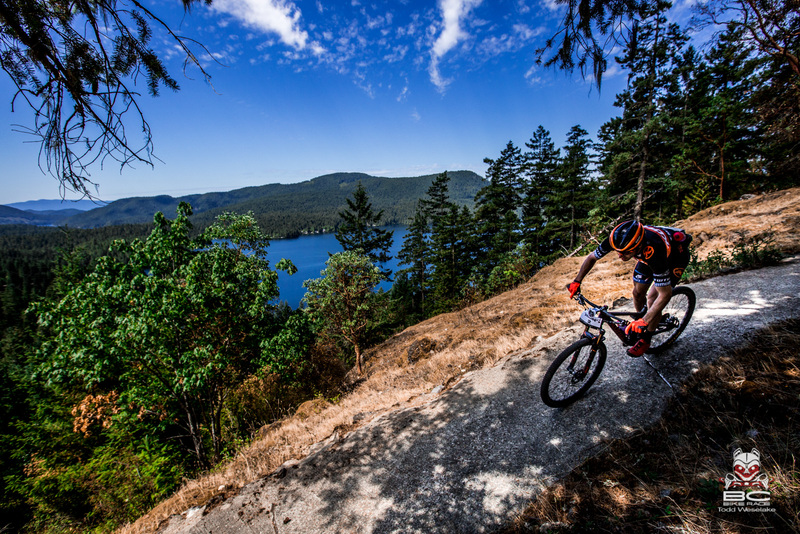 Sherbinin's number one tip for conquering BC singletrack? "Move your bike, not your body," she said. Racers Bobby Dowling and Brett Hunter know all about that. Racing a couple of hardtail 29ers, they stand out in more ways than one. On course, you can spot them in their dinosaur kits, but at base camp, they're hard to miss since they're the only two tall dudes rocking speedos and roadie caps. "We're here because we've heard a lot of good things about the race so it's become a bucketlist item to check off," said Bobby. "We're riding hardtails because that's what we had, but quite frankly, I wasn't aware of how technical it was going to be. Our only goal is to finish in one piece, have fun, and keep meeting lots of people." These two characaters are part of a group of six friends making the trip for the race from Miami Beach and south Florida. "One of our buddies is doing it on a hardtail singlespeed, but he's not having as much fun as us," they laughed. Another team in their group has been leading the 100 combined age group. So far, the week has been challenging. Hardtails notwithstanding, they fell victim to the heat on Day 1, had a shifter break, and on Day 3, food poisoning is the main suspect for Bobby's upset stomach. "I was up all night," he said. Even with the setbacks, the duo is a favorite at base camp because they're so good humored, and always up to "shenanigans." They're also holding onto 7th in the men's open team category. 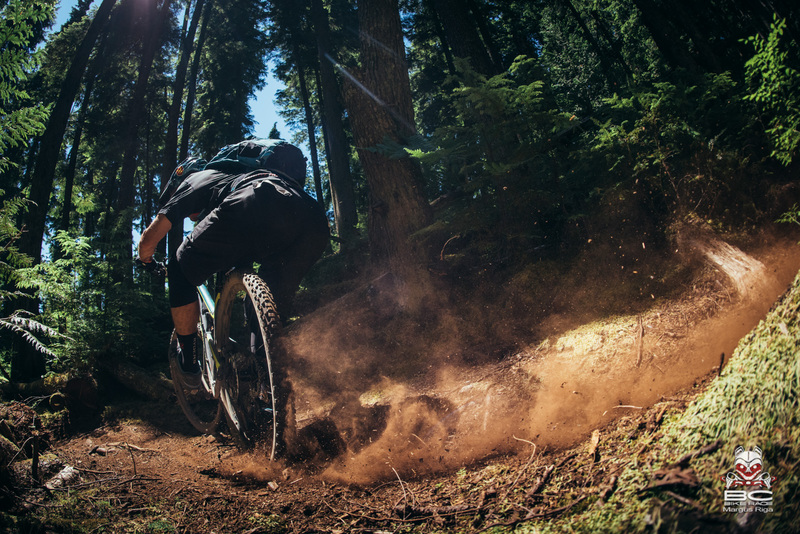 "I think when it gets towards the end of the week in North Van, Squamish and Whistler we're really going to be pushing the limits of these bikes," they said. "Compared to South Florida, there is much more climbing. It's flat in Florida. But we still do pretty good on the climbs—that's how we make all of our time." As for their stand-out attire, they innocently explained it is simply the swimwear they choose to wear. But later confided it's mainly for shock value. "It got you to talk to us," they said. Touché. "We have met lots of people thanks to a combination of our dinosaur kits and our speedos." The suits have also been a regular fixture at each day's awards ceremonies. "We'd never want to impose, but if we were asked to be podium boys, we'd be honored." 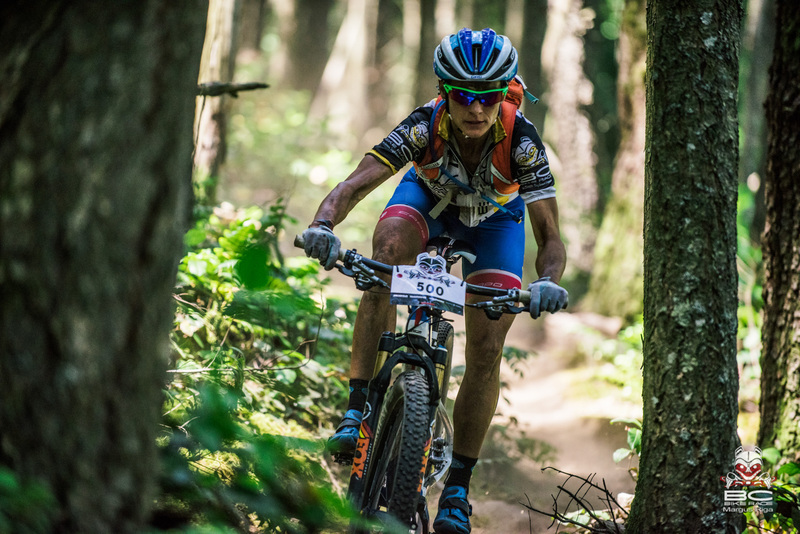 Day 5 will take racers from Sechelt to Langdale, a 40 km day that ends in a 7 km downhill through swoopy, loamy singletrack.